A short film about going from killing one species to save another, to saving both. The Galapagos Islands, once as idyllic as the name implies, was home to a plethora of native species without natural predators. With people came dogs and cats — all excellent predators. It triggered no flight response in the animals that had no experience of being hunted. For some, that doomed them to extinction in a relative blink of an eye. In an effort to avoid more irreversible loss, a group of activists and volunteers called ANIMAL BALANCE, routinely visit these and other islands to ensure ways that predator and prey can co-exist, one population being humanly managed, the other protected and preserved. Their work uncovers the real enemy to “animal balance” … human ideology. 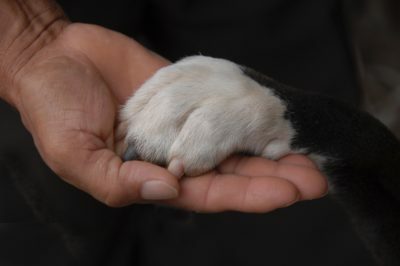 Animal Balance was established to end the killing of one species to protect another, hence the name ‘animal balance’ and our logo, the yin yang paw; which is understood in every culture and language. 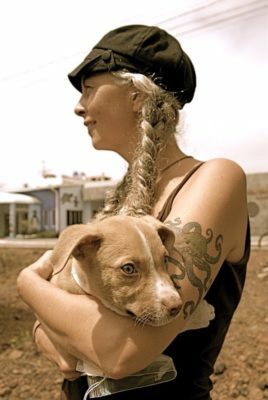 In 2003, Animal Balance Founder, Emma Clifford discovered that the authorities on the Galapagos Islands were killing the cats and dogs with compound 1080 as a means of population control. This rat poison was put in meat and left on the streets for the dogs and cats to eat. 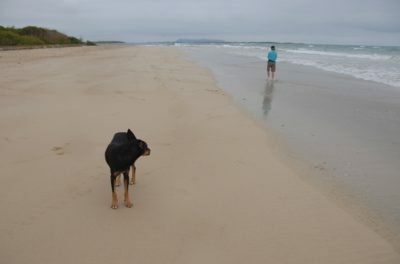 However, children often played in the sandy streets with the puppies and kittens and all animals: human, non-humans, native or non-native could come into contact with the poison. It was a recipe for disaster. 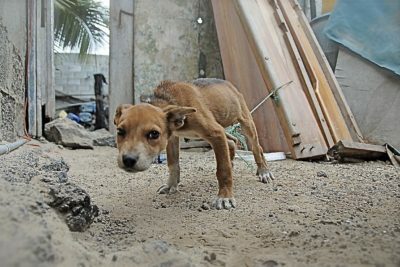 Throughout 2003 Clifford persistently emailed the Director of the Galapagos National Park Service requesting permission to fund and organize high-volume, high-standard sterilization campaigns in the towns to humanely reduce the cat and dog populations. 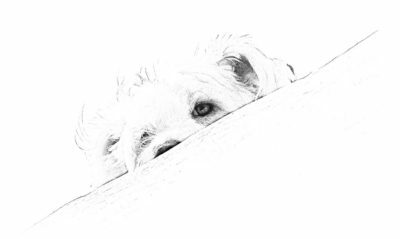 In addition, Animal Balance promised to provide the necessary tools to the community, helping them assume responsibility for their pets. 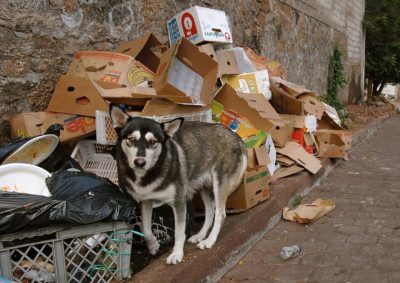 Essentially, the goal was to create a sustainable and humane animal management program for the four inhabited islands that were home to cats, dogs and humans. 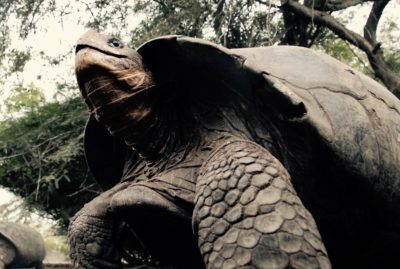 This was met with ridicule and disbelief by many established NGO’s on the Galapagos Islands. As far as they were concerned the cats and dogs were not native so therefore should be killed. One organization suggested shipping them all to one island and abandoning them there. We pointed out that humans are also not native to the islands and were the sole cause of the introduced cats and dogs. The reality was the cats and dogs existed and would continue to exist on the Galapagos. The question was, how can we humanely manage their populations? In 2004, Animal Balance joined forces with the Galapagos National Park Service, the Municipality and the community to create a humane animal management program to protect all species of the islands, native and non-native. 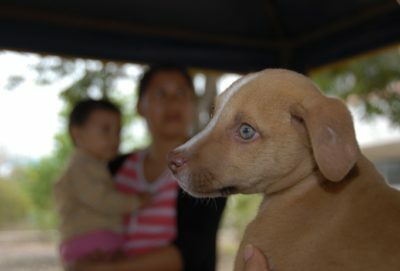 By 2008, over 80% of the cat and dog populations on Santa Cruz, San Cristobal, Isabela and Floreana had been sterilized and people were provided with the tools and information to care for the animals as pets, as well as protecting the delicate native species.